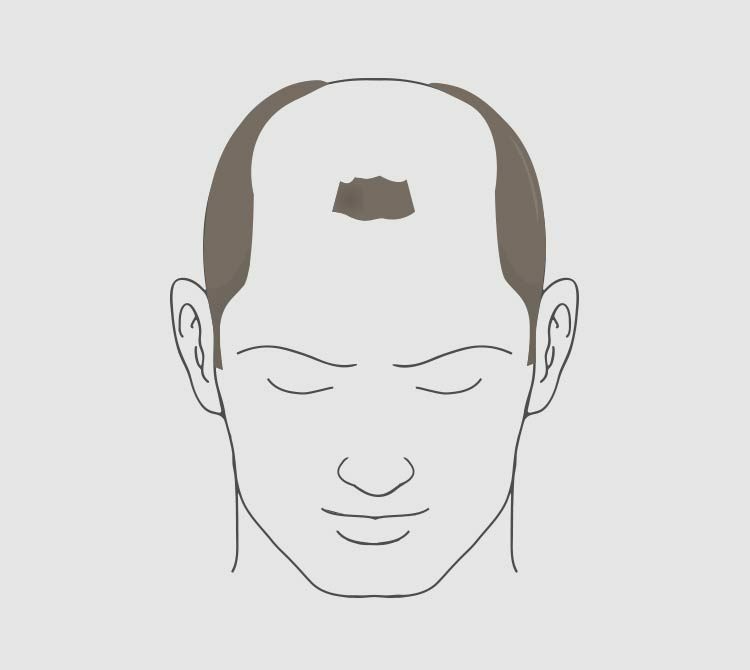 An Adolescent or Juvenile Hairline that is not actually losing hair. This hairline generally rests just above the upper forehead. Type 3 vertex represents early hair loss at the crown (vertex) instead of or an addition to the temples. 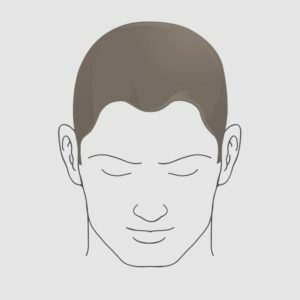 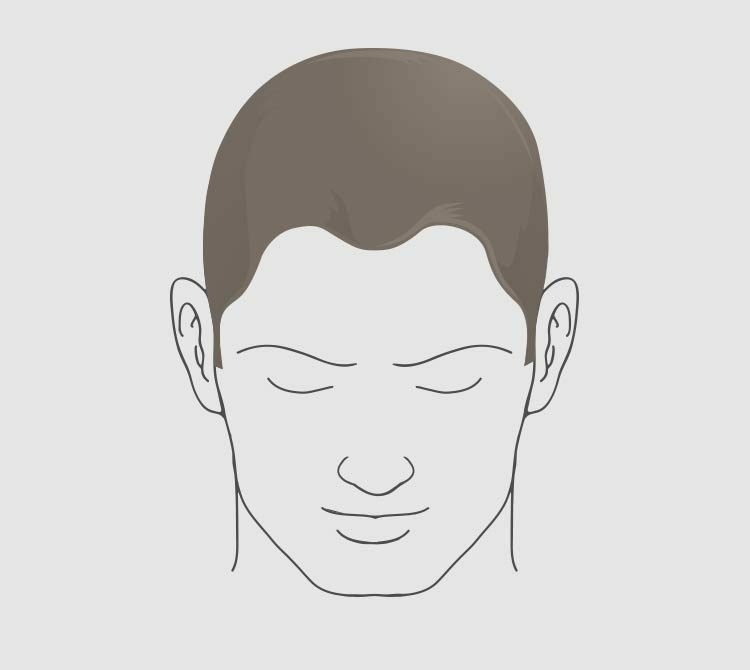 Is characterised by further frontal hair loss and enlargement of the crown (vertex) but there is still a solid band of hair across the top (Mid-scalp) separating front and the vertex. 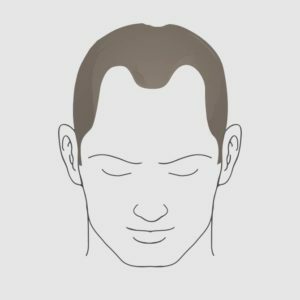 Is where the bald areas in the front and the crown continue to enlarge and the bridge of hair separating the two areas beings to break down. 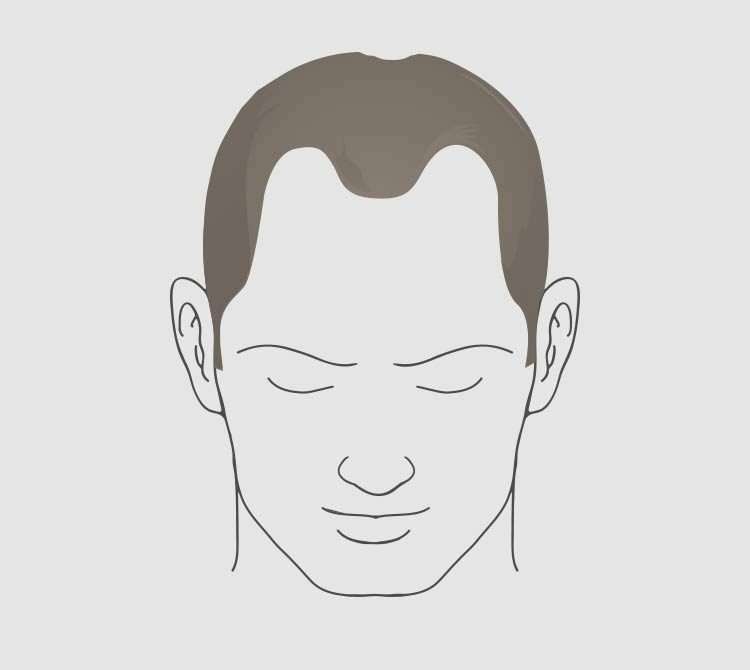 Occurs when the connecting bridge of hair disappears, leaving a single large bald area on the front and on top of scalp. 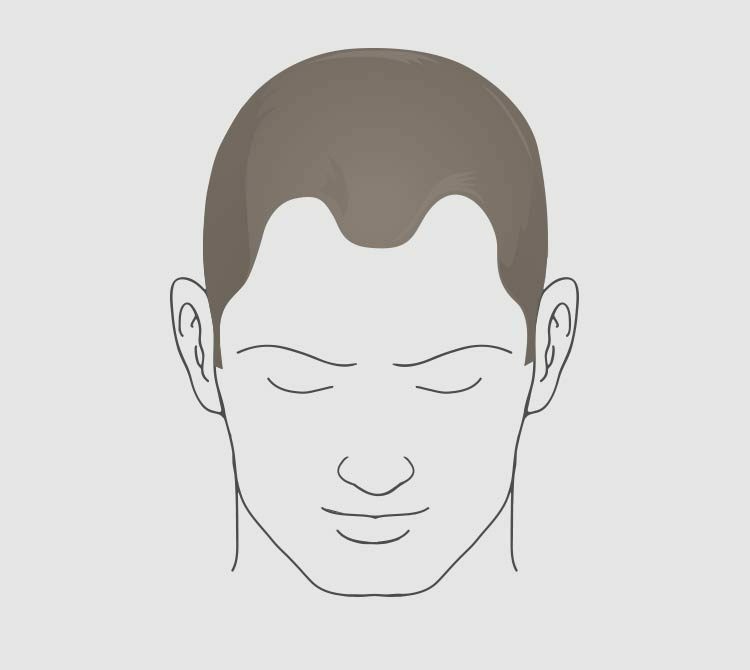 The hair on the sides of the scalp remains relatively high. 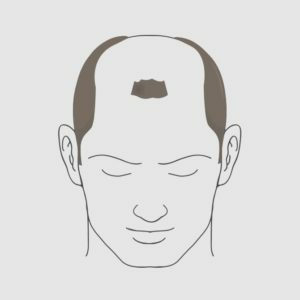 Is characterised by extensive hair loss with only a wreath of hair remaining at the back and on the sides of the scalp- the permanent area. 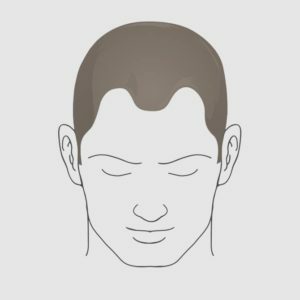 Not true – the scalp is the same all over and is usually rich in blood supply and therefore, contrary to commonly heard myths, male pattern hair loss has nothing to do with lack of blood supply. There is no scientific evidence to support this belief. 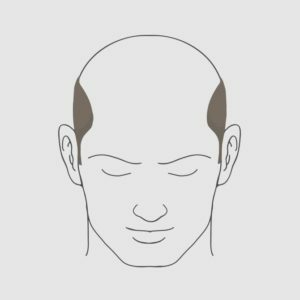 Likewise, the use of tanning beds has not been linked to hair loss. 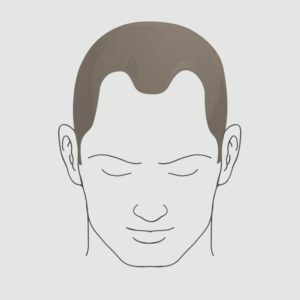 As ego-boosting as this belief may be, it is untrue. 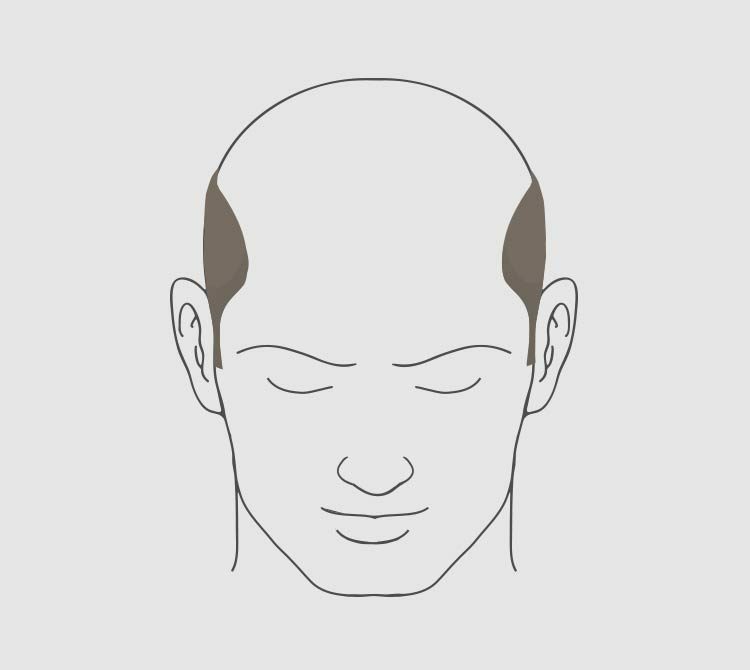 Neither is it true that men who suffer from hair loss have higher levels of testosterone in their system.